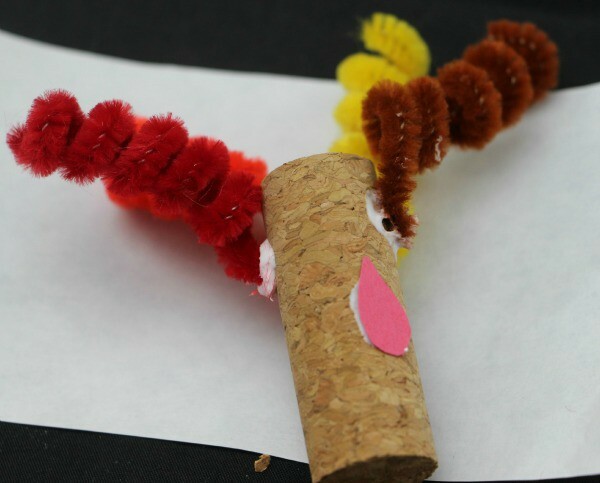 When there were young kids in the family part of our Thanksgiving wasn’t complete without Thanksgiving Crafts for kids to keep them busy! 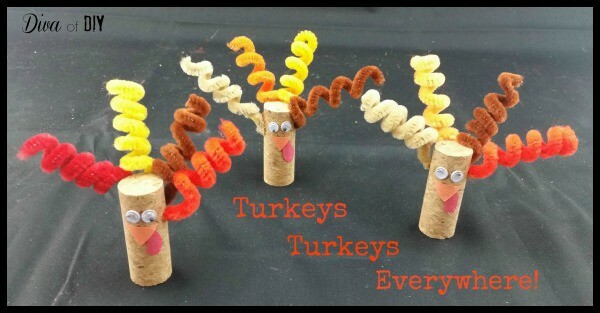 This year why not make this wine cork turkey! 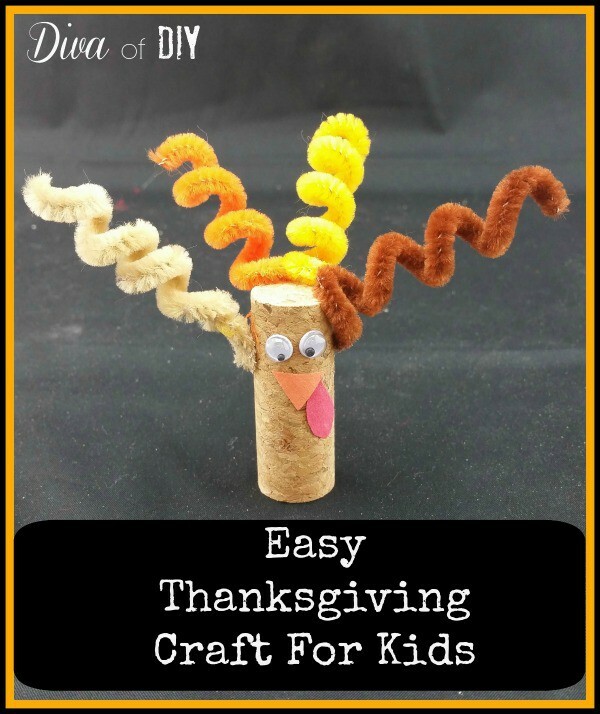 Add to the fun family bonding time by making this easy wine cork Turkey and using it as part of you Thanksgiving kids table decorations. 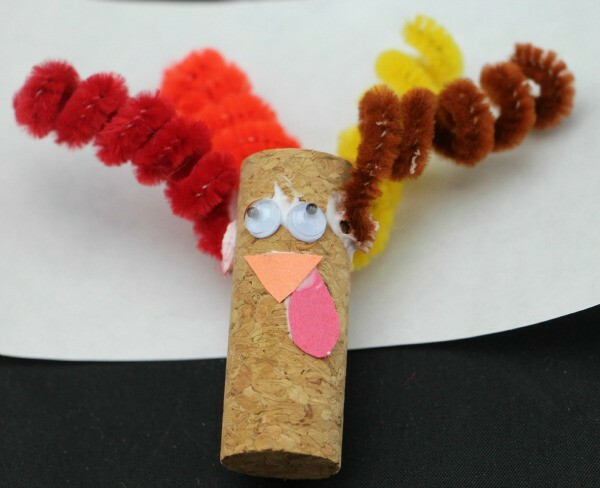 Your kids will be so proud to show off their creation! 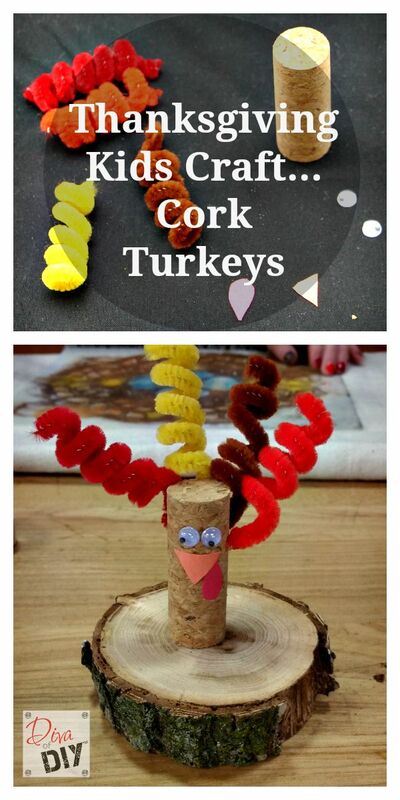 For one cork turkey, you will need: one cork, 4 pipe cleaners , 2 googly eyes , a teardrop shape for the waddle and a small triangle for the beak. 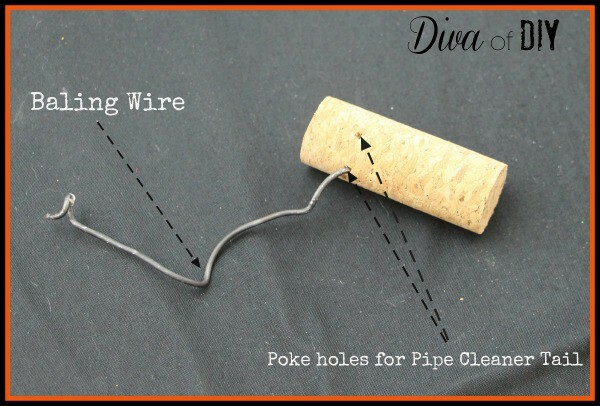 Step 3) Dip the end of the pipe cleaner into the glue and insert into one of the holes. 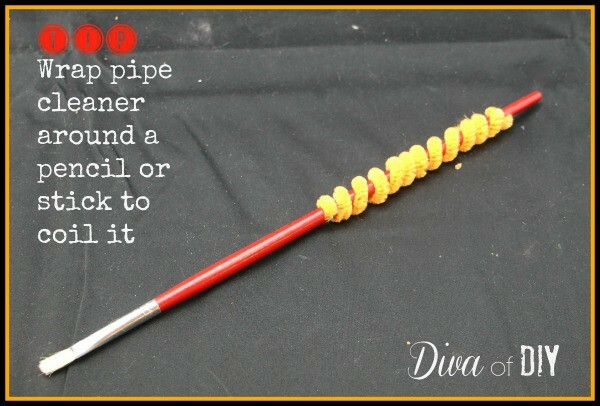 Repeat with other 3 pipe cleaners. Seriously…Have your every seen anything so adorable??? 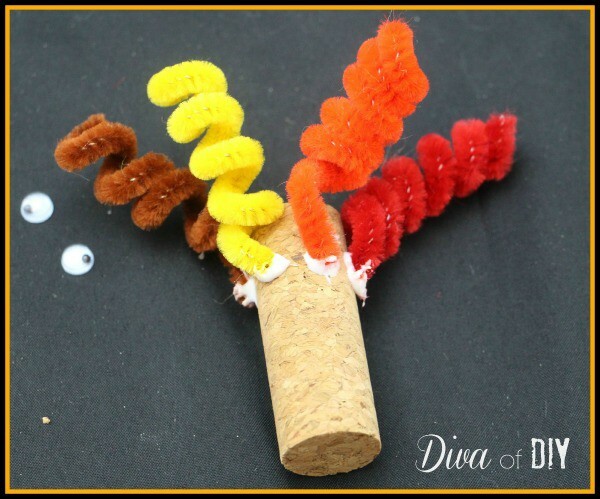 I love getting the kids involved in the Holiday decorating and this one is perfect! 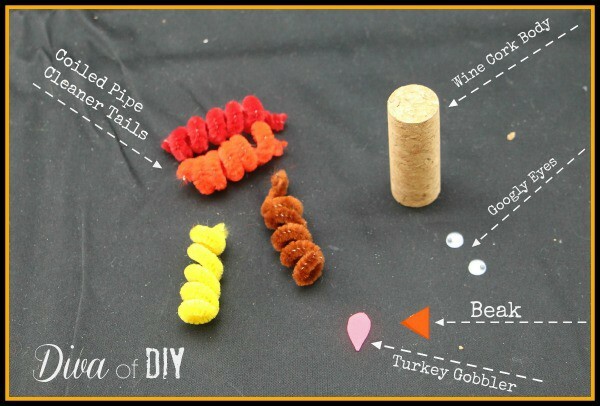 You could make these and use them as placeholders or sit one on each plate. 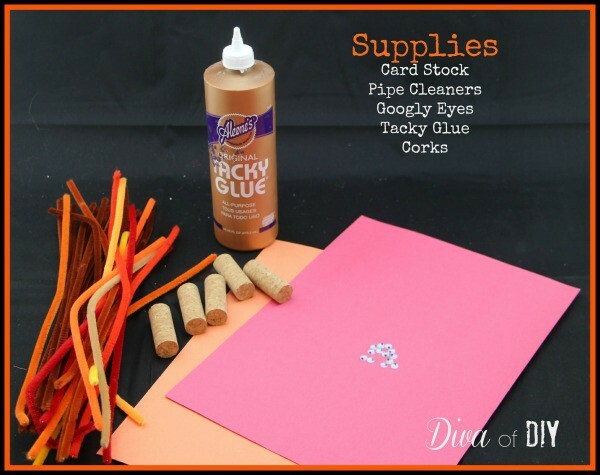 They would also make a great classroom craft because it’s so easy. 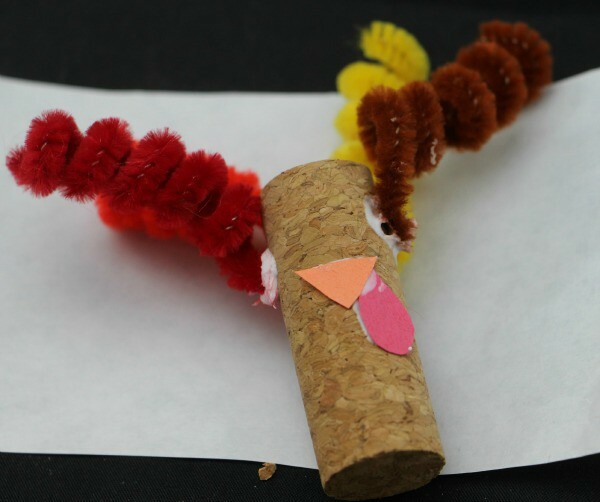 If you love this project, I think you will love my wine cork placeholders…perfect for any occasion.